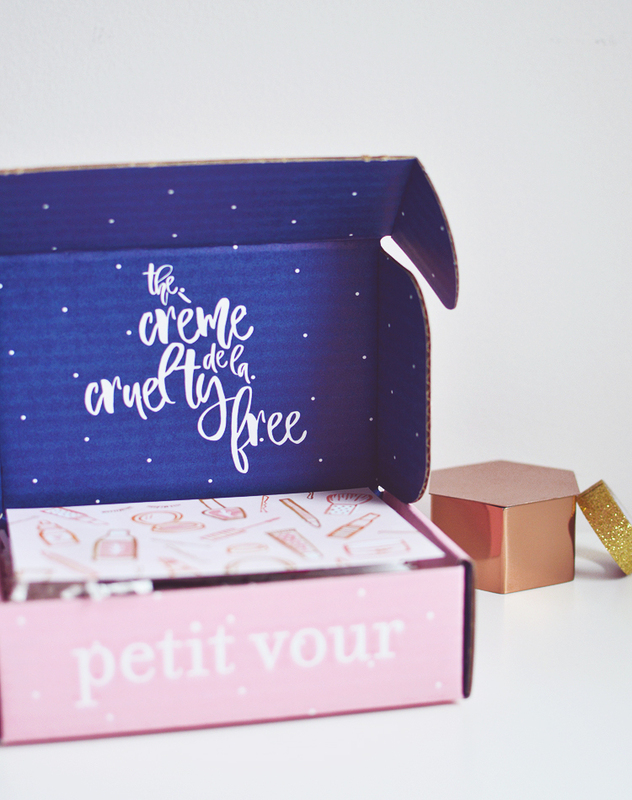 I am smitten with the new look of Petit Vour; polka dots, blush pink, and midnight blue? 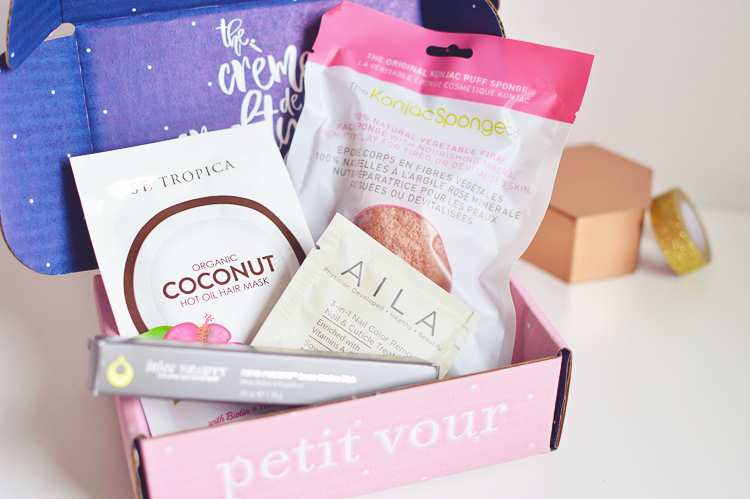 A Dreamy upgrade to keep this box on your list of must try subscription services. What makes Petit Vour special? - Every item in your box is also clean, green and ethical. - There are 4 generously sized samples, often including full sizes. - A great mix of makeup, skincare, hair, nails and bodycare. - You'll be introduced to new and exciting brands. This month's box is a real treat and I'm so pleased with the contents. Inside we have four items together worth $40. I'm really happy to have a Konjac Sponge ($12) in my life again. My favourite way to use a Konjac Sponge was for cleansing skin in the morning when you don't want to use a cleanser. Just warm water and a soft sponge to refresh and cleanse. 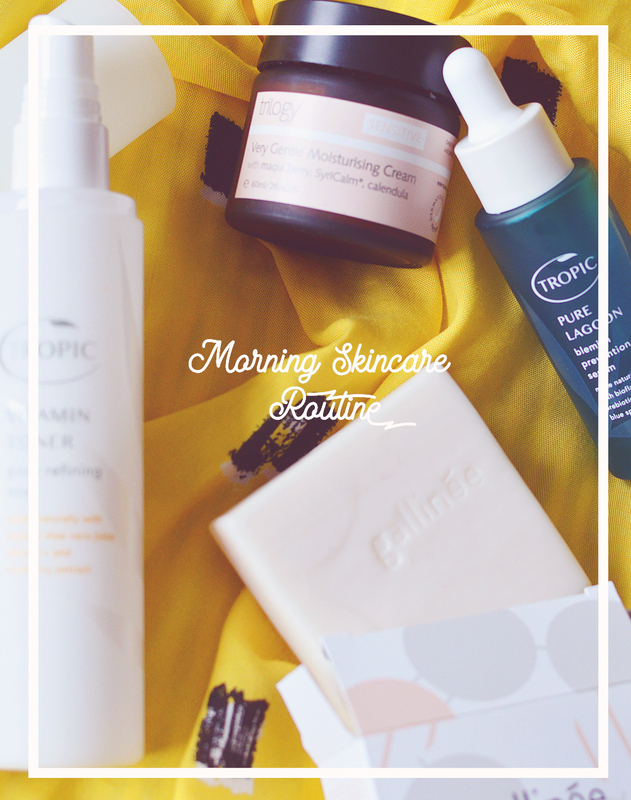 My skin reacts well to a minimalist approach (difficult when you have so many great products!) so this is very much welcome. I'm the kind of girl that leaves her nail polish on for about 3 weeks until it looks like an utterly disgusting, chipped mess. I can't help it, removing nail polish is one of the worst beauty tasks ever. I'm going to put this Aila Cosmetics 3-in-1 Nail Colour Remover Wipe ($1) in my bag for the next time I'm going somewhere nice but forgot to remove my grubby chipped manicure beforehand. It happens way too often. Free of the typical harsh ingredients, this is a soy-based formula with added argan oil and vitamins A, C & E for promoting healthy nail growth. 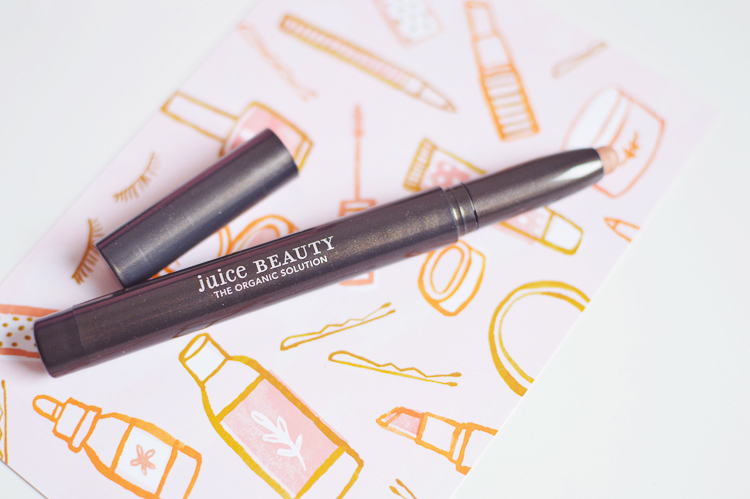 Lastly, the Juice Beauty Phyto-Pigments Cream Shadow Stick ($22) is full size and my favourite item from the box this month. I have wanted to try Juice Beauty's new makeup range for quite some time now and have been itching to purchase the new foundation. This shadow stick seems to be one of a few products that are unavailable at the moment here in the UK, I'm not sure why that is but I hope the rest makes it over soon. The shade selection was random and I got a beautiful neutral pinky-gold by the name of Cove, though honestly, I would have been happy with any as all the shades are soft in tone and look easy to work with. 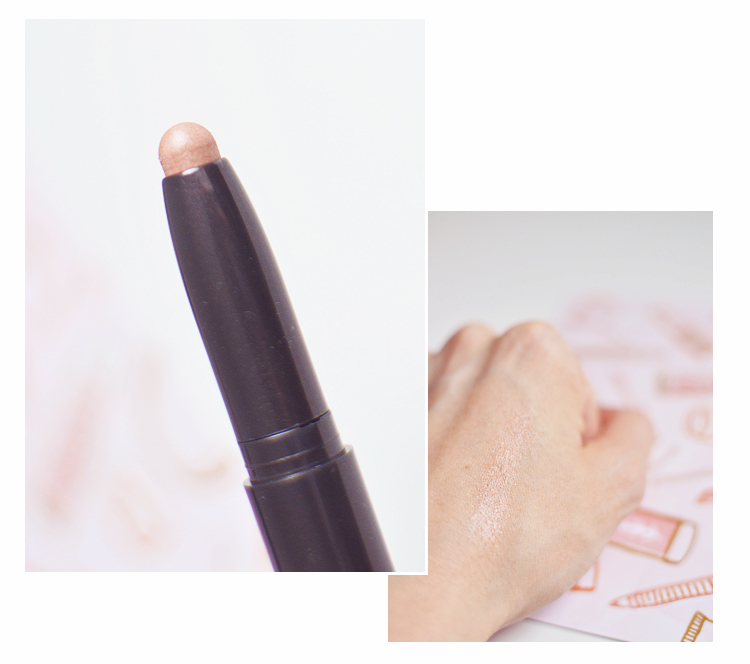 The shadow stick is creamy but not too sticky, blends out easily with fingers or a brush and I think it works best as a base for powder shadows. The shade I have also makes a really lovely corner highlight. And that's the box! What do you think of the contents? Petit Vour ships worldwide and costs from $15-$25 per month depending on where you live! 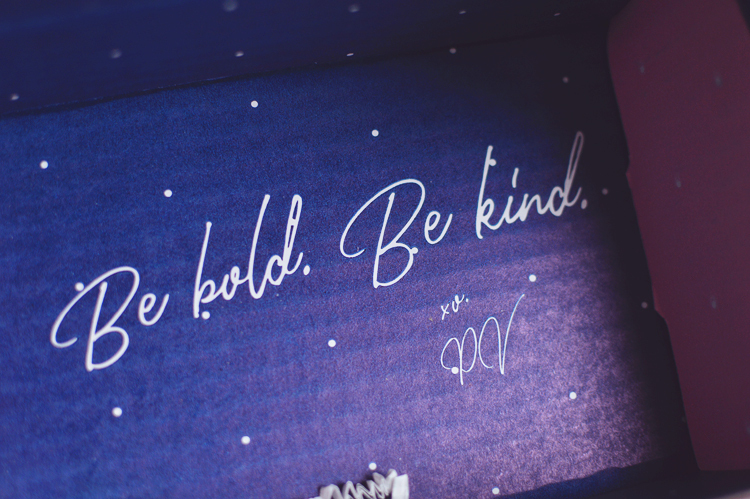 Also, have a peek at the amazing January box too, which I posted on my Instagram, here!